Good morning readers! It’s about time to start thinking about gifts for all of those special people in your life. and today I have a holiday gift guide to help make your shopping a bit easier. I like to share both educational and fun items that we’re either looking forward to receiving or giving. This year I have a ton of great stocking stuffer ideas, as well as gifts for older and younger kiddos, as well as girls and boys alike. Electronic Snap Circuits: There are several sizes and types of snap circuit kits you can buy, and they’re both fun and educational! This one has 300 different projects for your kids to work on and includes a concise illustrated manual. You kids will have fun building a radio, doorbell, burglar alarm, and more! LEGO Simple & Motorized Mechanisms Base Set: Our co-op has been using this great educational tool from LEGO Education for awhile now and we love it. Each month we meet and do another lesson on motorized mechanisms. You can see my LEGO Education posts here. 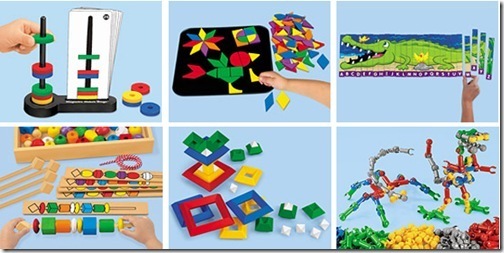 I highly recommend these sets, they’re very fun, but also promote critical thinking and logic skills. 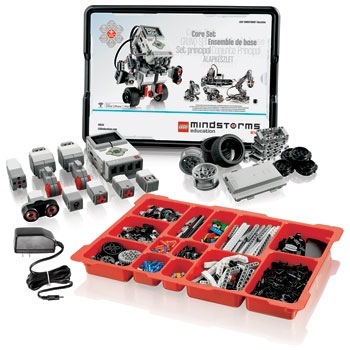 LEGO Education Mindstorms: Turbo has been asking for a Mindstorms kit for a while now. They’re kind of pricey, but we have a friend with one and it’s actually quite amazing! Turbo is asking for money this year from his grandparents, so he can hopefully save up to get a kit. With the kit you can build, program, and test real-life robotics technology. 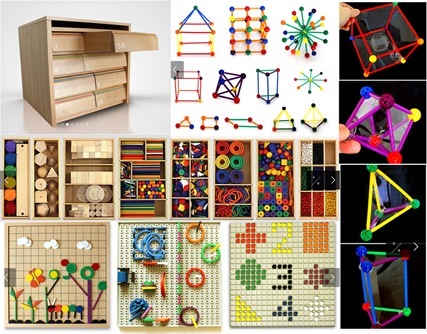 Spielgaben is a company that produces environmentally sustainable and non-toxic child friendly materials. The Spielgaben set comes with all of the colorful materials you see below, including the 3 wooden trays and a chessboard that store all of the materials together. 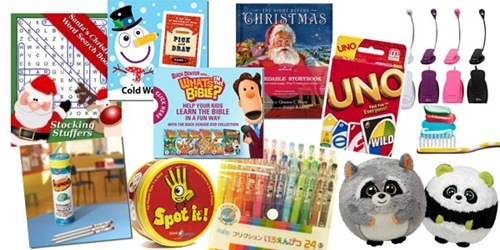 The set also comes with learning resources that include learning activities, user guides, over 30 sets of interactive worksheets, 65 inspiration cards, and more! 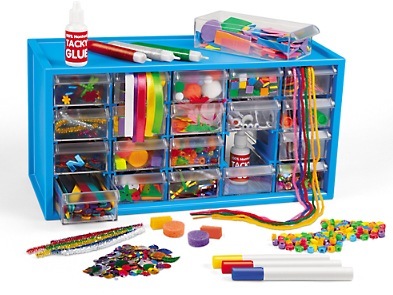 Lakeshore Learning Arts & Crafts Supply Center: WE received this as a review item last year, and it’s remained one of my kids “go-to” items! They love creating crafts with all of the fun supplies, and it’s great for encouraging creativity too! Check out my other Gift Ideas posts here! Love these, thank you! We are just getting started with homeschooling so trying to stick to educational toys for Christmas this year. Your blog is truly an inspiration to me!